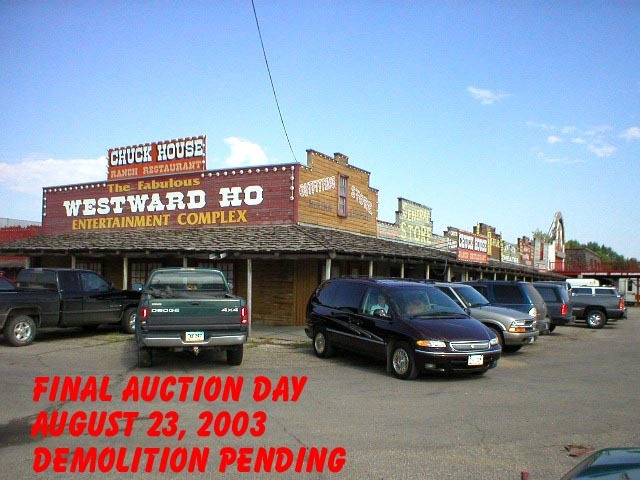 The Westward Ho Hotel and Entertainment Complex is no more in Grand Forks, but at one point it was well known for it's Comedy Nights and Fish Bowl drinks among other things. I promised over at Grand Forks Life that I would post the picture I have. It was part of a CD of fishbowl drink recipes that was sold shortly before the auction. There is a copyright notice on the cd, so I'm not going to post the recipes, but hopefully there isn't a problem sharing the picture. We used to go there often for comedy night with my husband's brother and wife. What fun! I would have loved to visit and take part in such a great time! :) Thanks for sharing! I hope you are having a wonderful Wednesday! Looks like it was a fun place to play. What's there now? I can't believe a place with the word 'Ho' in the business would be torn down. That should be illegal. Heather: I can always count on you to crack me up! I had no idea it looked like that. What a great looking complex! Thanks for sharing and enlightening us newbies. Sure, it used to be a pretty neat complex. I wish I had more pics, I didn't usually carry a camera around with me back then.